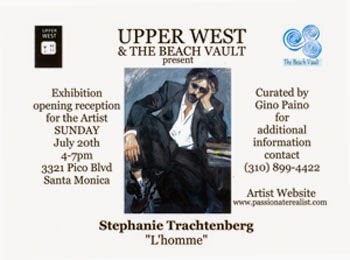 KTR Promotions in Venice Beach & Los Angeles California: Upper West Hosts Opening Sunday July 20, Featuring Artist Stephanie Trachtenberg! Upper West Hosts Opening Sunday July 20, Featuring Artist Stephanie Trachtenberg! 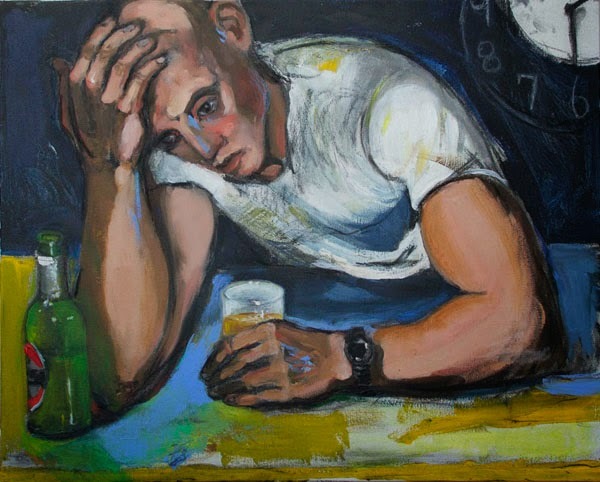 This Sunday, July 20, Upper West presents the art of Stephanie Trachtenberg in a solo exhibition entitled "L'Homme." Come meet the artist at an opening reception at the Santa Monica restaurant from 4-7 pm. Stop by this Sunday, July 20 from 4-7pm to enjoy an artist reception at Upper West (3321 Pico Blvd. in Santa Monica). The exhibit runs through mid November. See http://www.passionaterealist.com/ for additional info about the artist or see http://www.theupperwest.com/ to find out more about Upper West.